More and more young people are going in to gangs, that leads to drugs and crime. More police, control and security is the solution from the government but what if we think differently? In the article “New CPF has eye on crime” from people post, says “that crime and gangsterism in Athlone is the No 1 priority of the new community policing forum (CPF)”. But what does that mean? Is it a solution, that the security guy can shoot and kill when there is a robbery? How is this gonna change the actual situation for the young people, that in my opinion don’t have anything to do. They are maybe living in an apartment with 10 other people where there is no room to play, discover, be helped, listened to, or just relax. They go to school were there are 40 kids in a class and where the teacher must chose where to focus.. if you are a little bit behind, haven’t done your homework (because nobody were there to help…) then it is easy to feel outside, unintelligent and not wanting to be there…Of course young people are choosing crime and gangs what else is there for them to do? It is easy to become a gangster -and maybe nice…Here there are idols, a group of people that want to help you, that give you things to do and protect you…But we all know that crimes, drug and gangs are getting stronger and many don’t feel secure of walking around all places… So what can we do? We are ActionArte, a group of professional circus artist that have started a social developed project in South Africa. We are hoping to create this alternative for youngsters. We started workshops in Landsport Community Center were we have up to 34 kids and youngsters meeting 2 times a week learning life skills and creative strong mind set through Circus activities. With the kids we have a show production in June and open workshops in December. The open workshop is in the local area where the workshops take place so we can meet over borders, inspire, have fun and make friend with people from other part of the same are. 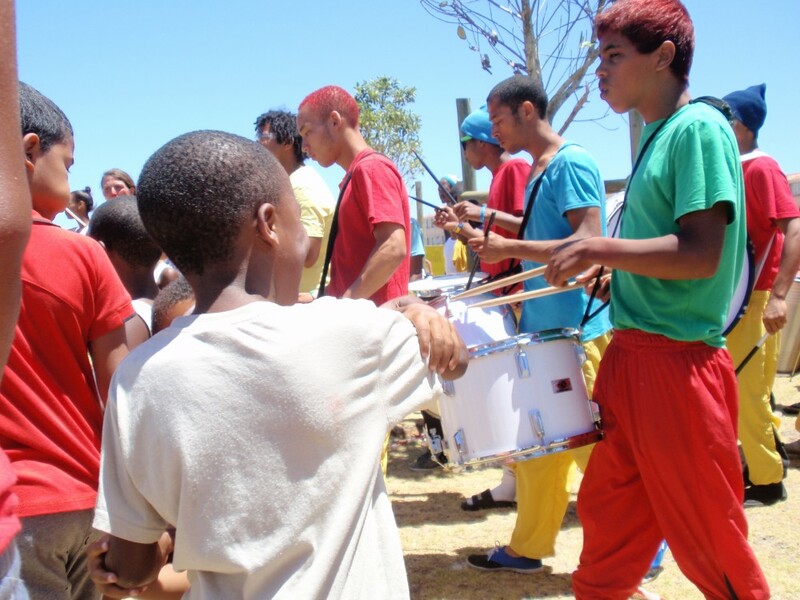 With different activities, group dynamics, circus acts and theater, we hope to give young people a alternative experience. Where a new view on life can be created, with new role models and an alternative way of thinking, about themselves, others, the society and life in general. What if you could make like an acrobat and show off with a somersault – if you could meet and practice, play and develop you self and others together – if the fights weren’t with guns or physical violence but with dance, painting and singing like in old times?